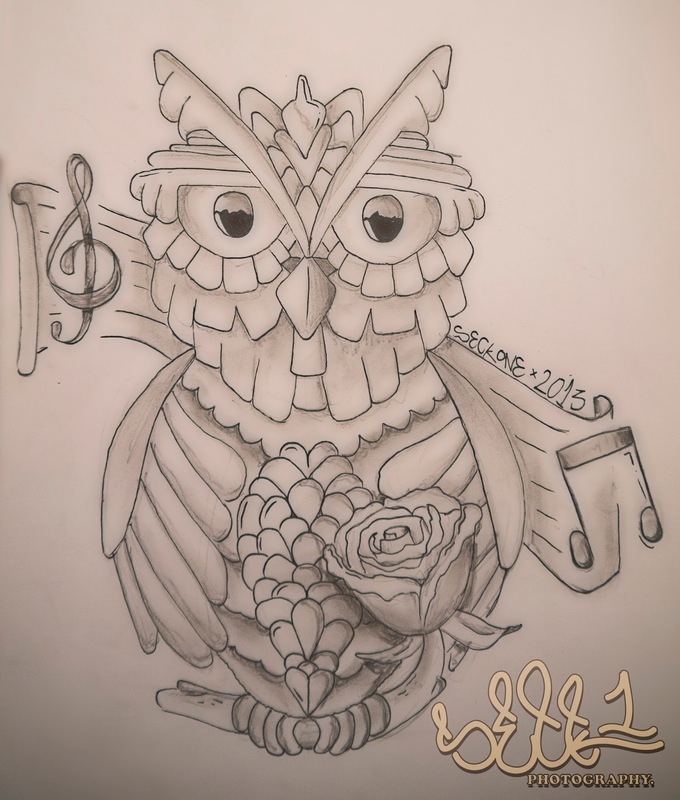 Ha, another request for a tattoo design.. I hope she will get it done because I really like this one! I am proud of it, and I saw that the blog generate traffic due to this type of illustrations. 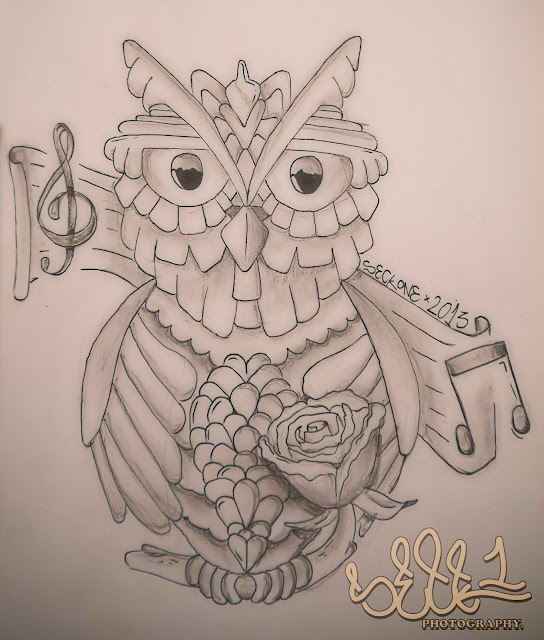 She asked for an owl with some music and nature influences.. It has to be very active, one that meets the eye in an instant; So many lines involved in this piece. Free to use, but drop me a message if you want to republish it.. Love.